Why Use Miron Violet Glass For Essential Oil Candles? 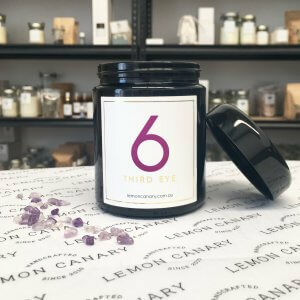 Have you seen Lemon Canary’s candles, soy melts and body mists that incorporate crystals and stones into their designs? Have you received a custom Lemon Canary intentional candle bowl and perhaps not realised there is a beautiful message wanting to be told by the crystals and botanicals that have been placed in the piece? Many of the custom candles we make are gifted to special people at important moments by loved ones. It’s important that a gift is beautiful and unique but when you see crystals used there is often more in the gift than meets the eye. 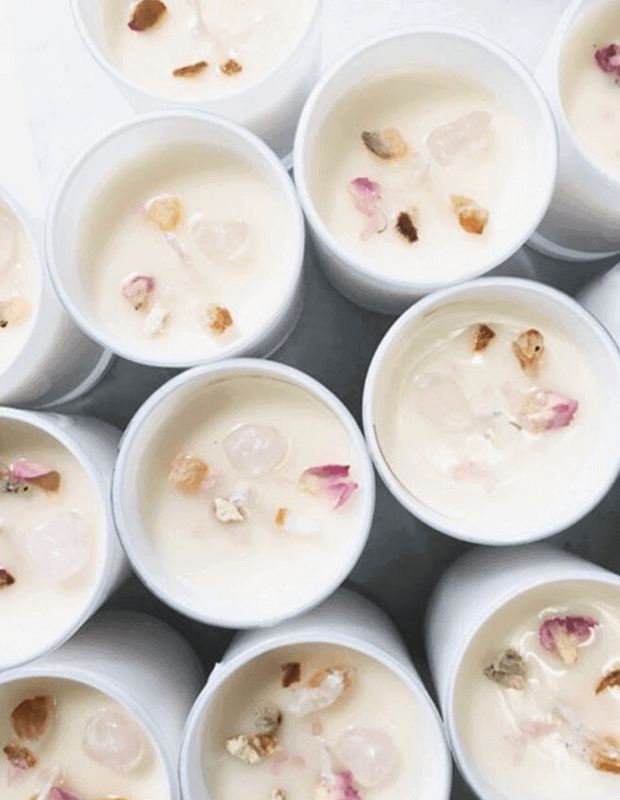 We create custom candles with an intention in mind. That means we aim to add heart and meaning into every piece. Crystals help us do that in a really special way because every crystal has it’s own meaning and intention. The following list of crystals is always changing. 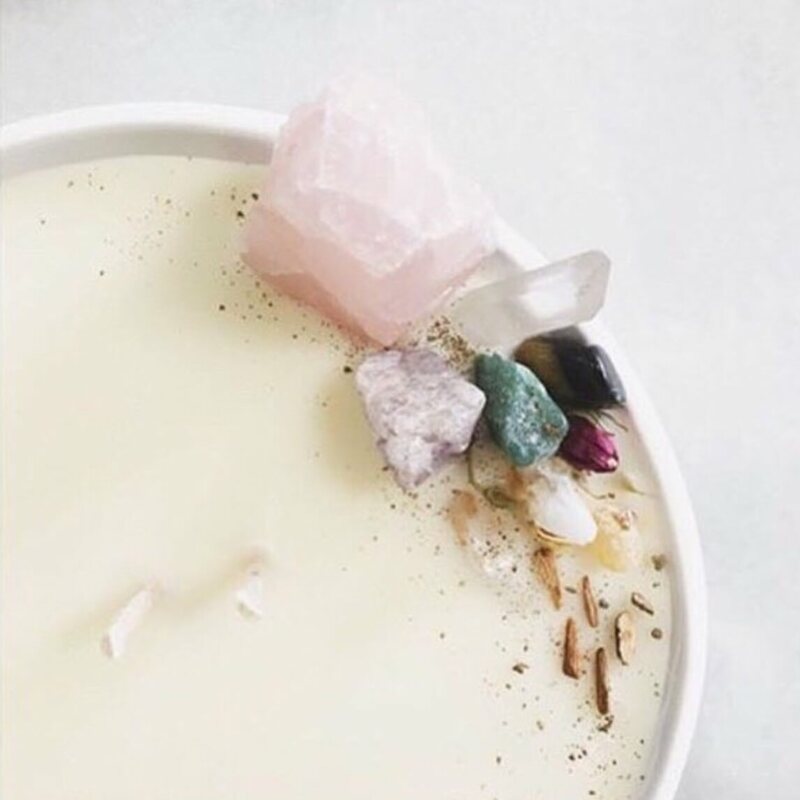 It mostly includes the crystals and stones we use in our world renowned candle bowls that you can design yourself online. 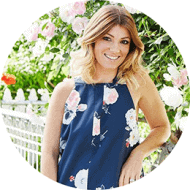 I hope you find this crystal information interesting and helpful especially if you are using our Design Your Own candle service and wanting to choose the perfect crystals to embellish your next Lemon Canary candle with. Crystals allow a candle to speak a beautiful message and this list is designed to help you understand their language. Enjoy! Creating beautiful scents using organic essential oils is an art. I love it! We are all very different so don’t be surprised if what you love is different to what your friends love. This makes creating scents for everyone a challenge but in your home it all comes down to what you love.